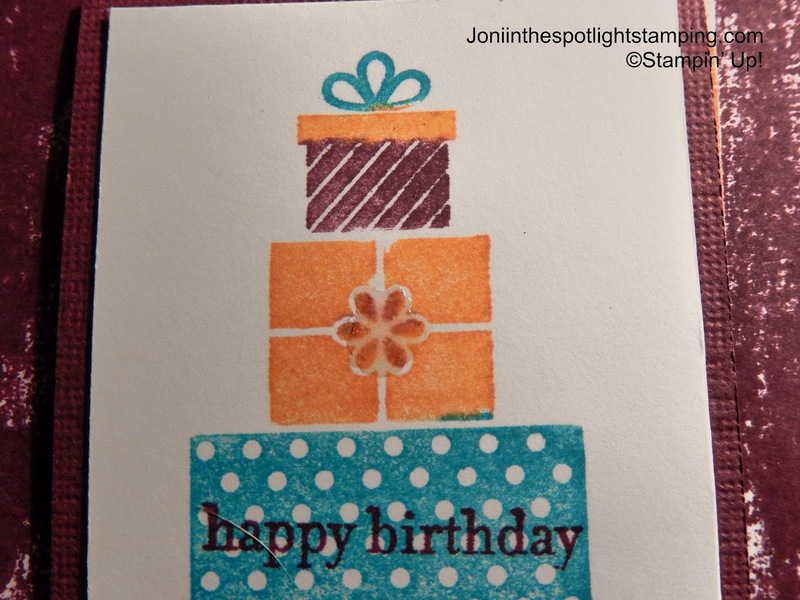 Joni in the Spotlight Stamping: IT'S "TEMPTING" TO COLOR DOWN THE LINES!!! So did you figure it out? Yup! This week's color is Tempting Turquoise!!! 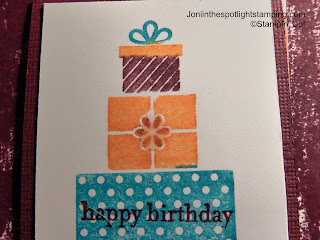 It's a very small Coloring Down the Lines blog hop this week! But there's still awesome stuff to see! Hello to the hoppers from Helen's blog! Hope you had fun over there! I love hers this week! Well, every week! I decided to try a new technique! Here it is! So I went with the "masking tape" technique. I actually used painter's tape though! Less sticky! It's a very easy technique & packs quite a punch! 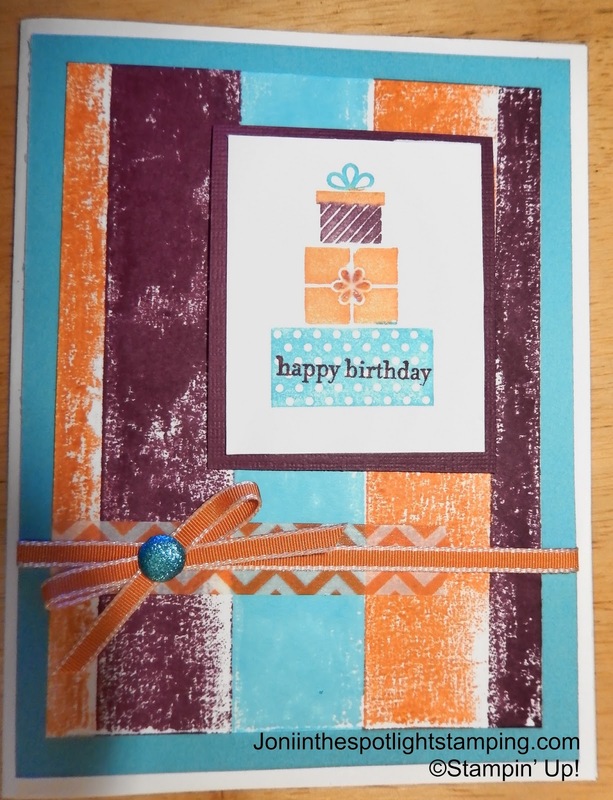 It's a little heavier than I'd hoped for on this one, but it makes the colors nice & vivid! It's such a big deal for me to use a white background! I just like color! What can I say?! 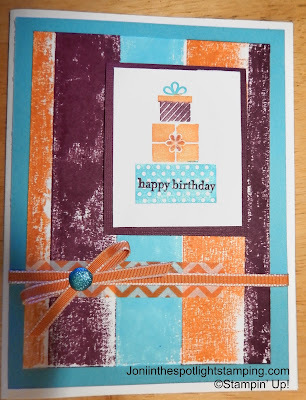 I used a Christmas stamp set from the Holiday Catalog too! It's Wishing You! The sentiment may be familiar from Teeny Tiny Wishes! I think that's probably my most-used stamp set! There's a teeny tiny bit of Crystal Effects on the center of that middle package! Here's the closeup Mr. DeMille! So keep hopping now over to Robbie's blog! She's the beginning & our "fearless leader"!!! Notice how she always matches her envelopes! I love that!! !